Brilliant! There have been a lot of aliens-making-contact-with-humans movies, so it is pretty difficult, I imagine, to come up with something that breaks away from cliches. 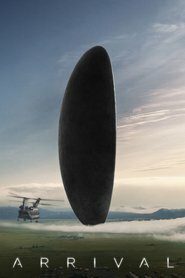 But ARRIVAL is just that! I was riveted by this movie. Amy Adams is excellent as the linguist and the exploration of language is very intriguing. And the sound track - wow! Eerie and powerful. Reminded me a bit of a didgeridoo — maybe that was the inspiration — very ethereal. The aliens are superbly crafted and presented. While the plot is more important in this movie than special effects, it is still a must see on the big screen. This is an intelligent, thinking person’s sci-fi. Loved it!